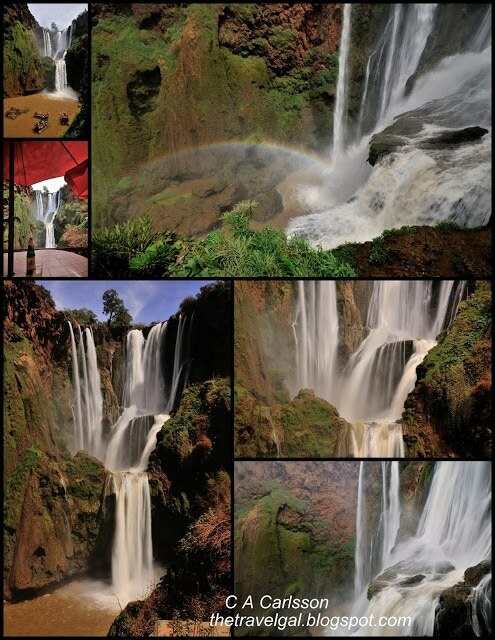 With the aid of our drivers (thank you Rashid and Hamou) and the staff at Morocco Explored that fine-tuned our itinerary and handled our reservations, we spent two weeks touring central Morocco in spring of 2013. 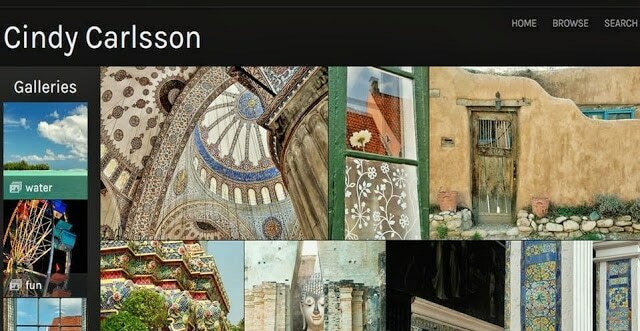 The following links to daily snapshots and travel journals. 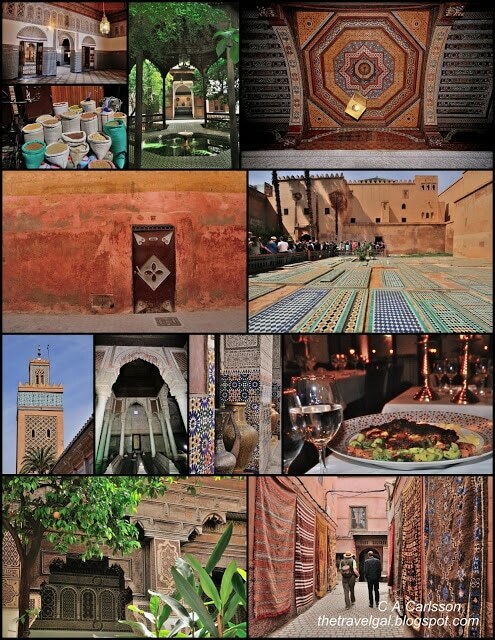 Links to additional photos, stories, and travel information can be found on the Morocco page. You can travel with me virtually too! We arrive in Rabat is two hours late, but our driver is waiting and soon we are on the road to Meknes. 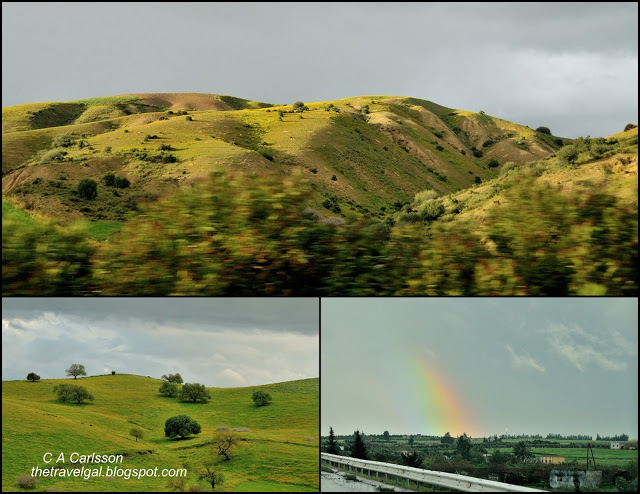 Besides assuring that the hillsides remain emerald green, the occasional downpour along the way provides a few rainbows. 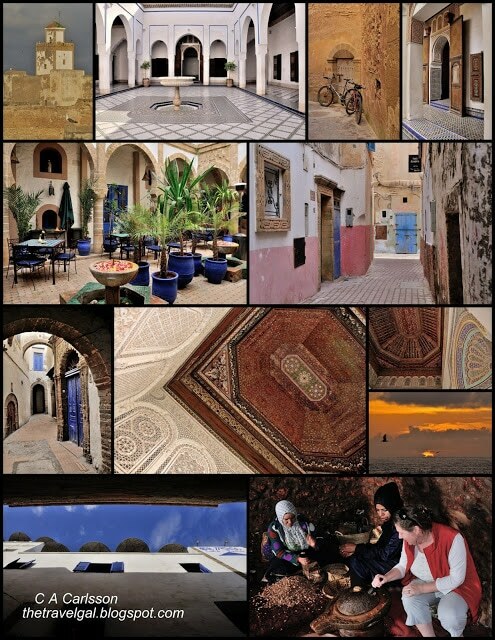 Once in Meknes, we find we are without reservations at the hotel identified on our itinerary and end up at a sister property deeper inside the medina. Who Knew? 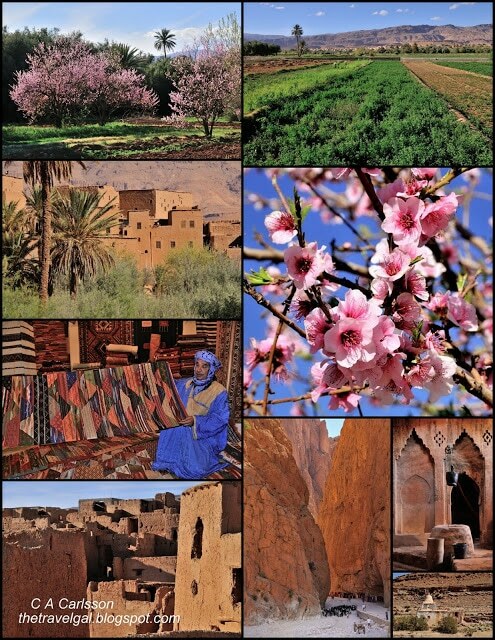 Morocco Looks like Ireland in the Spring! We begin the day with a tour of our Riad before (quickly) taking in the highlights of Meknes and heading out on the road to Fes. The rest of the day is spent in Fes, where our wonderful guide takes us through the medina. 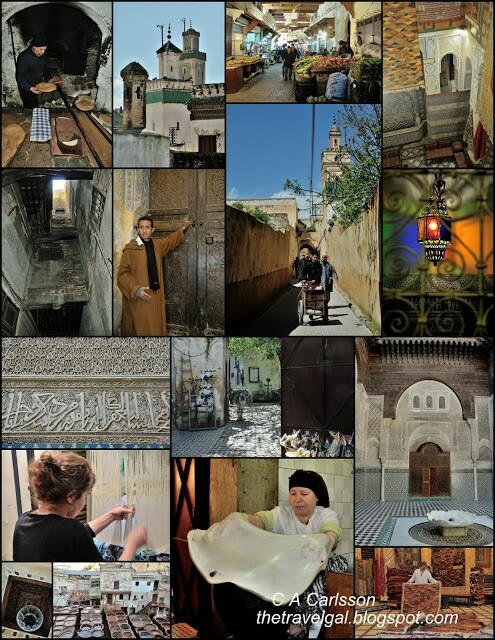 We have asked our guide to join us again today and we begin with a visit to the mellah and a return trip to the tannery (when the light is good) followed by a panoramic view of the city. 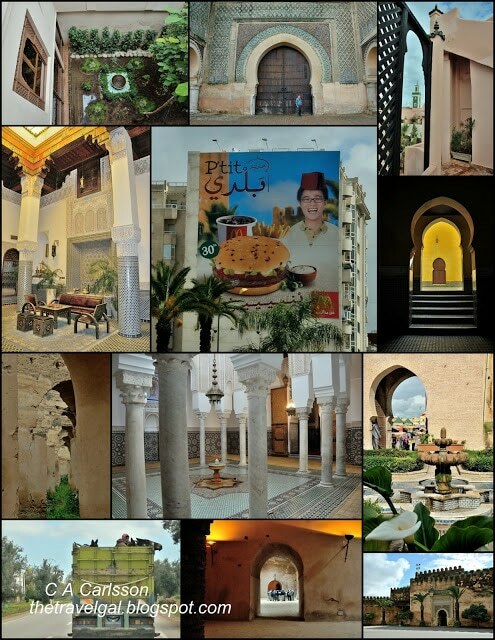 On our own, we visit a nearby museum, but leave plenty of time for relaxing in our beautiful riad. We leave Fes under grey skies that render the mountains nearly invisible almost until we reach Ifrane. From that point on, we travel through the Middle Atlas Mountains and on to Erg Chebbi and the edge of the Sahara under brilliant sunshine. 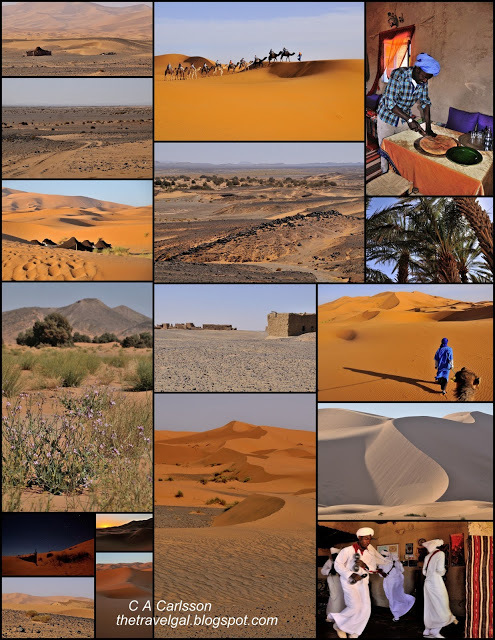 We are up at dawn to watch the sunrise over the dunes at this far edge of the Sahara and then off on a circle tour of the area around the dunes. We end the day by climbing aboard our camels and setting off into the desert for a night in a Berber tent – our timing turns out to be superb, as we ride to the camp under clear blue skies and are settled in with our mint tea just as a sandstorm sweeps through. 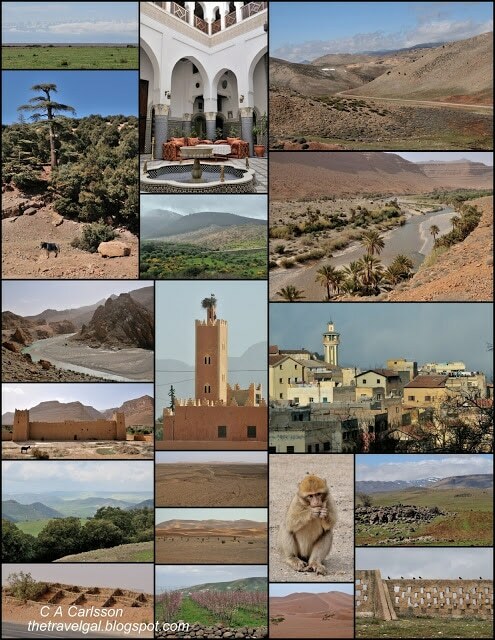 We leave the desert today to head into Kasbah country. Along the way we visit the fabulous local market in Rissani. Today is our major off-road driving day as we travel through a very remote area of Morocco. The roads are rugged, although our driver tells us they are much improved since the last time he was through here about three months ago. I can see why few tourists venture here, as it is very far from anywhere, but the landscape is amazing. We have the whole day to explore the Todra Gorge, the palmery and the area around the old kasbahs. Today we have another long day on the road with lots to see! We travel through the Valley of a Thousand Kasbahs, the Dades Gorge, and the Valley of the Roses on our way to Ait Benhaddou. Along the way we pass many kasbahs, weird rock formations, strange flowers, and green oasis. We begin the day wandering through the Ait Benhaddou Kasbah. A bit of cross-country driving takes us past more kasbahs, including the Glaoui kasbah at Telouet where a few splendid rooms remain amid the ruins. The dramatic Tizi n’Tichka pass is followed by green fields ablaze with flowers and a challenging hike through a natural bridge just as the swallows head home for the day. We spend a large chunk of the afternoon parked at a table in a café with an excellent view of the falls. 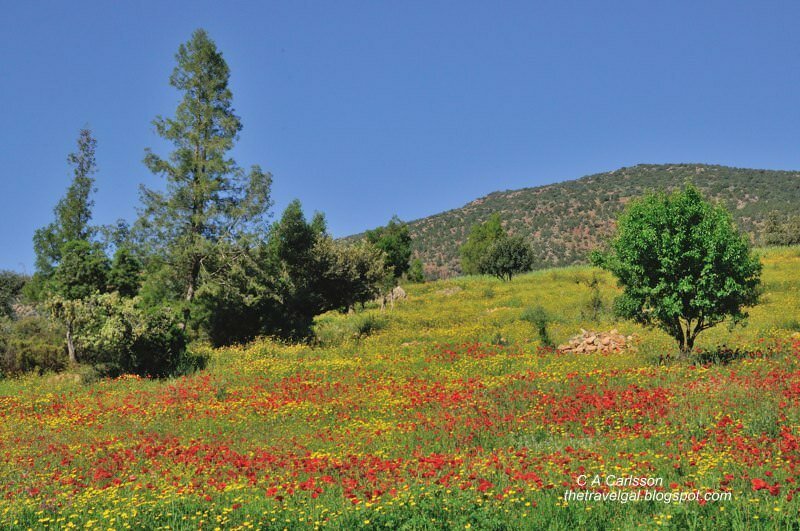 There are poppies all along the road as we leave Ouzoud. 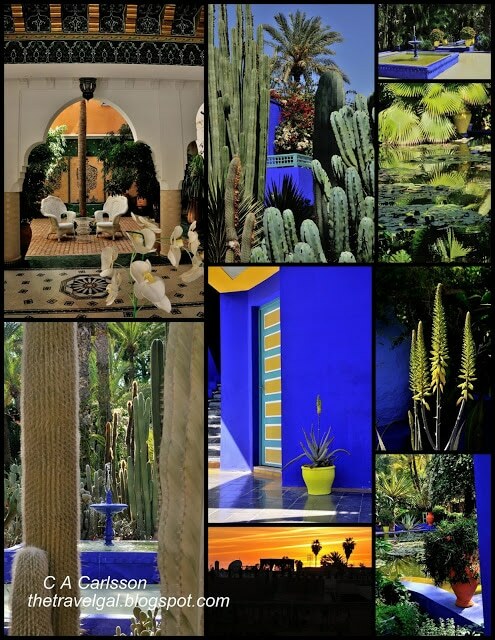 Our hotel in Marrakech is lovely, but not as lovely as Majorelle Gardens! This is a lazier day than it should be. We spend a few hours touring the city with our guide and then head back to our hotel during the heat of the day. A short walk at the end of the day leads to a fabulous dinner of roasted lamb. We have just enough time in the morning to run down the street and be the first ones through the doors at the Bahia Palace – by racing through the first courtyard we actually have a reasonable amount of time to absorb and photograph these beautiful rooms in peace! 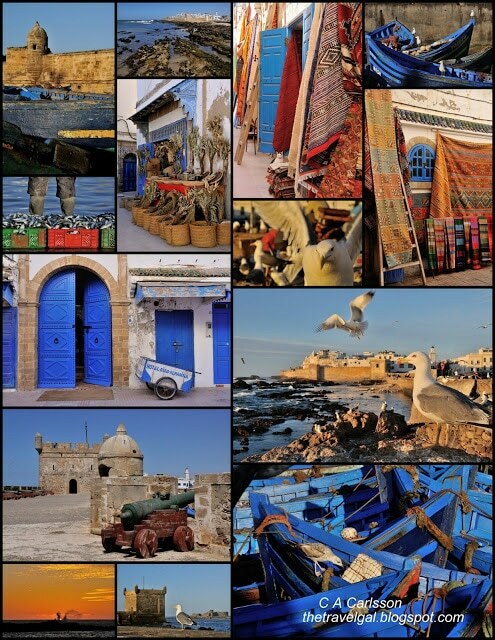 Then we are back in the car on our way to the sea and the old Portuguese port city of Essaouira. They say that Alfred Hitchcock got the idea for The Birds here. It’s easy to see how that could be, as there are seagulls almost everywhere – I’m surprised not see any of them haggling over merchandise in the medina! 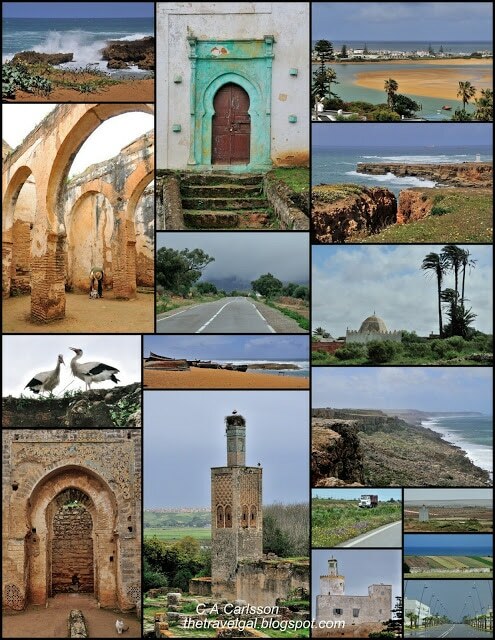 Our final day in Morocco includes a lot of driving, but also some great scenery, a fabulous fried fish lunch where the locals eat, and a quick tour of the Chellah in Rabat before settling into our riad for the final night of the trip.